Make some snacks and invite your friends to watch the premiere this Sunday, September 30 on Disney Channel and Disney XD! With the premiere of “Marvel Rising: Secret Warriors” on the horizon, it’s the perfect time to assemble your BFHFs—Best Friend Heroes Forever—and throw the Ultimate Super Hero Party! Create a centerpiece of twinkling lights and stars, colorful banners and balloons, and lay out a buffet of snacks for heroes of all-ages. 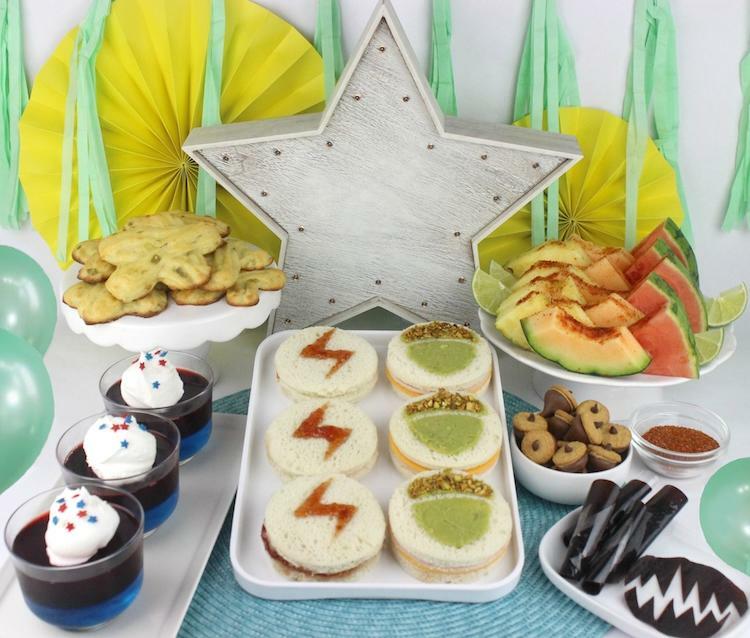 Ms. Marvel and Squirrel Girl sandwiches anchor the super-buffet, while Inferno Fiery Fruit, and Quake Fruit Leather, and America Chavez Spicy Stars are the perfect snacks for noshing during the show. 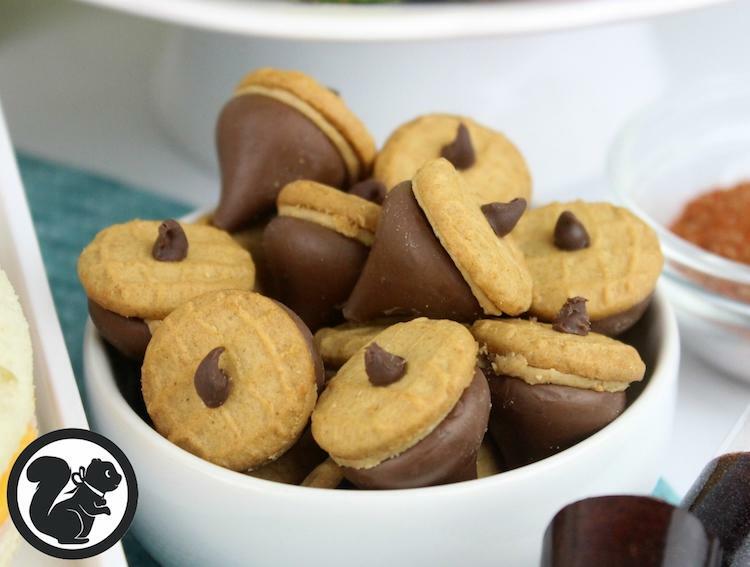 Every party need something sweet, and Patriot Parfaits and Tippy-Toe Acorn Cookies are easy to grab and go while you find a comfy seat. Throw your own viewing party and watch the premiere of “Marvel Rising: Secret Warriors” only on Disney Channel and Disney XD this Sunday, September 30 at 10pm! Don't miss out on all the action and join us during the Marvel Rising Twitter Party, led by Kristin Cruz, on Sunday between 7-8pm PT -- just use the hashtag #MarvelRising. 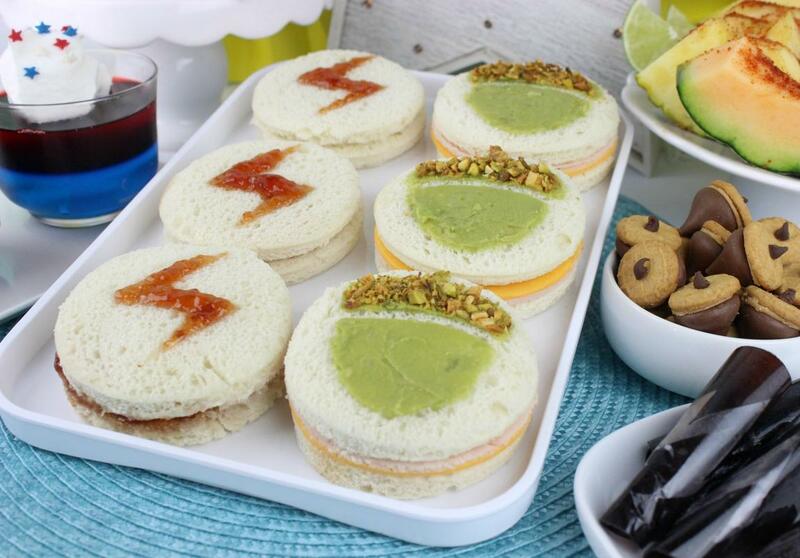 For the Ms. Marvel sandwich, spread cream cheese and strawberry jelly on a slice of bread. Top with a second slice of bread and cut out the center using the round cutter. Place the Ms. Marvel Super Hero symbol template on top and use an offset spatula to spread more strawberry jelly. Remove the template to reveal the symbol. For the Squirrel Girl sandwich, place the meat and cheese on a slice of bread. Top with a second slice and cut out the center using the round cutter. Place the Squirrel Girl template on top and use an offset spatula to spread the guacamole. Sprinkle the chopped pistachios on the top part of the acorn. Remove the template to reveal the symbol. 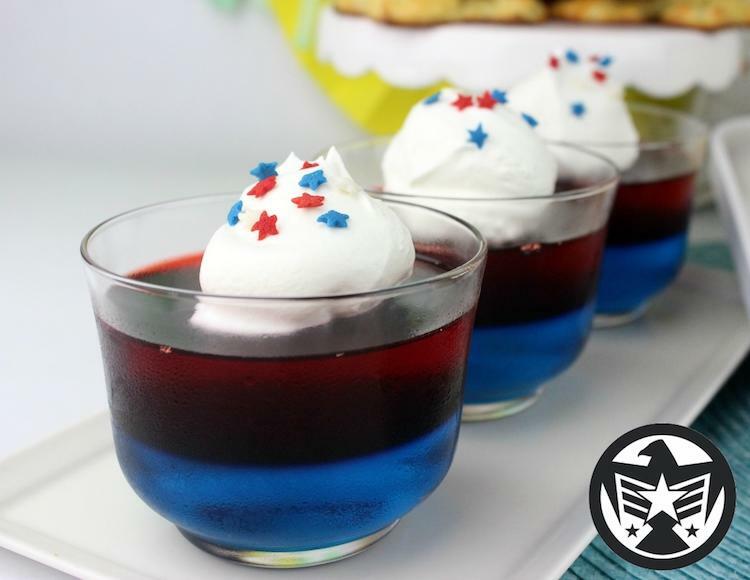 In a bowl, stir together 1 ½ cups boiling water with the blue gelatin. When dissolved, stir in 1 ½ cups cold water. Pour into cups to about halfway full. Place in the refrigerator to set for 1 ½ hours. In a bowl, stir together 1 ½ cups boiling water with the red gelatin. When dissolved, stir in 1 ½ cups cold water. Make sure the mixture is cool to the touch. Carefully pour over the blue layer, and place in the refrigerator to set for 1 ½ hours. When ready to serve, add a dollop of whipped topping and sprinkle with star sprinkles. 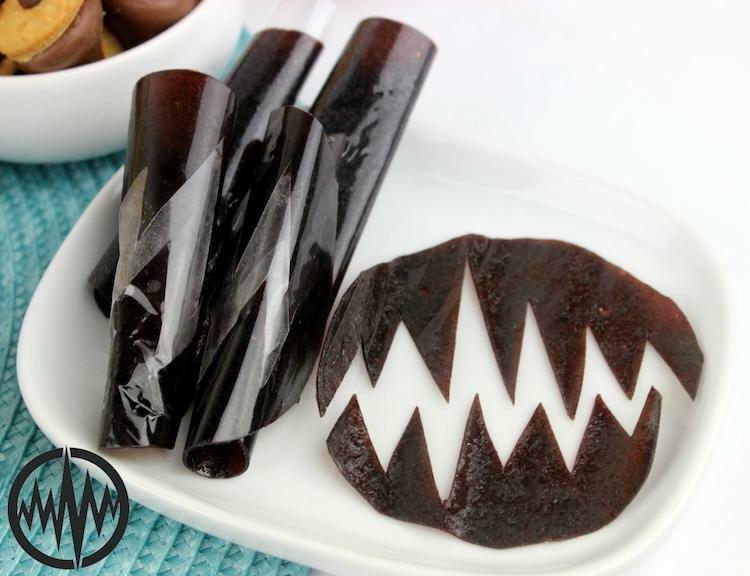 Roll out the fruit leather and use the round cutter to cut out circles. Score the Quake symbol into the center of the circle, so that when it’s eaten the symbol will magically be revealed. In a bowl, stir together the chili powder, cumin, salt, garlic powder, paprika, sugar and cayenne. 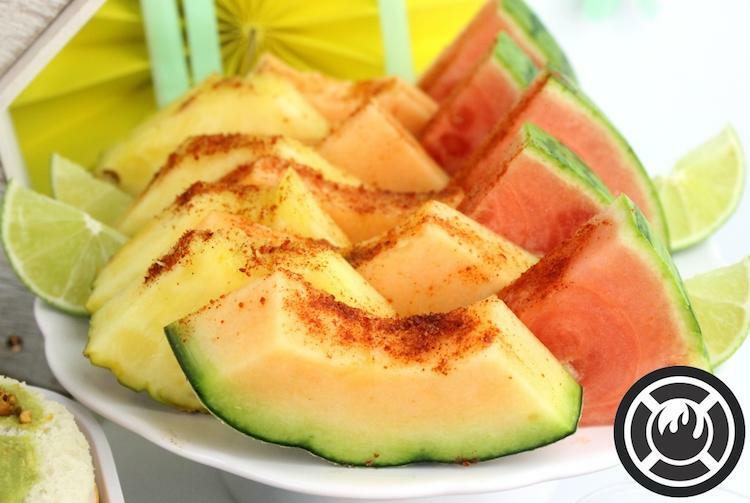 Squeeze lime over the fruit and sprinkle with the chili powder mixture to serve. 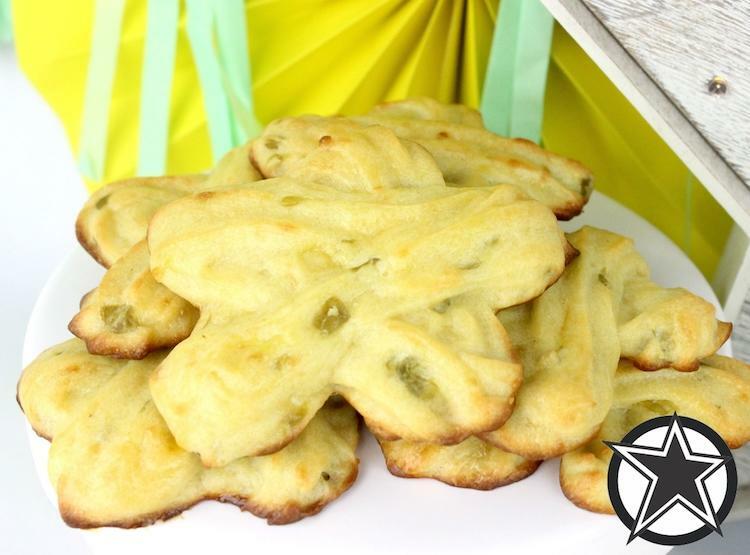 Pair it with some Tippy-Toe acorn cookies and America Chavez Spicy Stars and we've got ourselves a party. Tune into the premiere of “Marvel Rising: Secret Warriors” exclusively on Disney Channel and Disney XD this Sunday, September 30 at 10pm! In the animated film, “Marvel Rising: Secret Warriors,” powered teens Ms. Marvel, Squirrel Girl, Quake, Patriot, America Chavez, and Inferno join forces as an unlikely, but formidable crew of aspiring heroes. When a threat no one could have expected bears down on the Marvel Universe, this ragtag, untrained band of teens have no choice but to rise together and prove to the world that sometimes the difference between a “hero” and “misfit” is just in the name.